Over the years, maids have become a vital part of ensuring the smooth running of a household. Maids help to pick up children after school, accompany elders to the hospitals and make out homes tidy, among many other important roles. However, finding the right maid from the right maid agency is not easy. You have to ensure that the organization is legal, trustworthy and understand their work well. Hundreds of online maid agencies are now available in the market. The most organizations recruit maids with Filipino and Indonesian origin and train them a plethora of skills. Whether you are looking for a maid to help you take care of your child, take care of the elderly or take care of your house, the professional maids are trained to handle all the tasks. Before hiring a maid from an agency, make sure that the recruiter is accredited by the Ministry or Manpower. A Singapore law doesn’t allow employments of a domestic helper from non-authorized agencies. MOM work to ensure that everyone adheres to this law by licensing all the recruiting agencies. The licensed issued to the recruiting company featured when the license was issued, and you should be able to learn the experience of the company when you see the license. A company that has been in the market has more experience and is likely to have well trained and experienced maid who can handle most of the jobs. The license is also an assurance that the agencies is operating in accordance with the law and have not violated government rules and regulation in the past. The agency should be able to recruit the best maids and perform all the phase of recruitment process diligently. When you present your requirements for an ideal house maid, the company should be able to determine the best candidate for the job and recommend them for an interview. The agency should give an honest opinion about each of the maid. Honest opinion is critical in ensuring that your paperwork of obtaining a permit is done with ease once you have chosen one of the candidates. 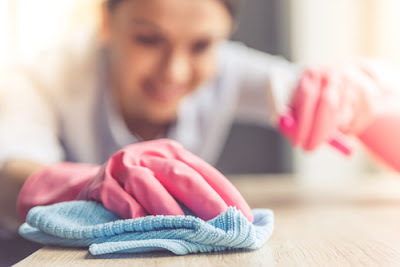 Although most people have sufficient experience in doing various household chores, some may not be able to handle some jobs as you may require. Maids who may have worked elsewhere and have sufficient experience may not need to undergo some training. However, applicants with no training should be trained by the agency to ensure that they are competent in handling various household chores. The agency should equip the maid with the right skills to ensure that he can perform different functions correctly. Hiring a maid from an agency that offers the training program to their maids is an assurance that the maid will offer quality services. While looking for a maid, consider from hiring a maid from an agency that offers other related services. This can help you to reduce the hassles of working for a permit, renewal of permits and passport, bringing the maid from the airport and arranging for a medical check-up, among other jobs. Some agencies will help you to process the recruitment as well as permits services only, while another offer many other related services and you will leave all the paperwork to them. You can check demerit points from the MOM database, which is accessible through their website. Demerit points help you to learn if an agent has ever breached the Employment Agency Act or any other related law. Avoid working with companies have high demerit points as they not be up to no good. Such companies are likely to go into the wrong hands of the government any time or have maids who cannot be trusted. All maid agencies have retention rate, which is in percentage form. Retention is the ratios of the helpers who have to remain in the same employment for more than one year. The higher the retention rates, the better. A retention rate of 80%, for example, means that 80% of the maids that have been hired through the agent are able to work for their employers for more than one year. Remember that retention rates are not necessarily high as many people come to Singapore and stay for short time, which mean that there is a high turnover for employers, which impact the retention rates. A retention rate of 50% is good enough. Agencies that have achieved CASE accreditation mean that they have demonstrated transparency and fair trading with their clients. You should make sure that your employment agency has this accreditation. Case accreditation can be trusted more and offer genuine prices to their customers. In the event that you fall out of the agency, accredited agencies are likely to give you back your money. For adults who work most hours, having a trustworthy maid who can handle mode core jobs is very critical. They are more affordable to hire them and can handle most of the household chores such as cleaning the house and taking care of children and the elderly. The safest way of getting an experienced maid in Singapore is through maid agencies. Licensed maid agencies are listed in the Employment Agency Database, which is maintained by Ministry of Manpower. The database also includes all the information that you may need to identify the best maid agency. All you need to do is to define your requirements and find a maid agency that matches your requirements. Once you identify one, you can arrange for Skype or telephone interview. During the interview, ensure that you give your agency all your requirements so that they can supply the right maid that can handle all your needs.